On the side, observe how “death” is the “wages of sin” or simply – we get death as our justly earned payment as a result of sin, that which we labor for (and a life of sin is in a very real sense, laborious and tiresome!) whereas eternal life is not justly earned, but freely given by God’s grace (unmerited, unearned favor) through the LORD Jesus Christ. Any of these gifts of the Spirit are granted by the grace of God; one does nothing to earn them, nor are they justly given, but freely lavished upon us, God’s children, by our loving heavenly Father. These gifts are diverse and suited to each saint, according to the plan of God and that work which He has ordained for them (EPH 2:10). What a comfort it is to know that the LORD in His infinite wisdom, His limitless power and His eternal love has our entire life in view; that He knows every turn in the roads of our lives and has provided everything we need in order to fulfill His good will and purpose in our lives (ROM 12:2; EPH 1:11; 3:11)! The first gift spoken of here is prophecy and for those who have such a gift, they are to operate in this gift according to the “proportion of faith”. Every instance of the word “prophecy” (and its related words) in the New Testament is the same Greek word: propheteia and it means the following: “prophecy is not necessarily, nor even primarily fore-telling. It is the declaration of that which cannot be known by natural means; it emanates from God and is the forth-telling of the will of God, whether with reference to the past, the present or the future (REV 10:11; 11:13). It signifies the “speaking forth of the mind and counsel of God” and is expressed either in the gift or of that which is prophesied (i.e. the Scriptures themselves, as certainly godly men were moved of the Holy Spirit to write them; 2 PET 1:19-21). So rather than some means of ‘fortune-telling’ as it were, by God through His prophets, its simply the revelation of God’s plan for the ages as recorded in Holy Scripture. 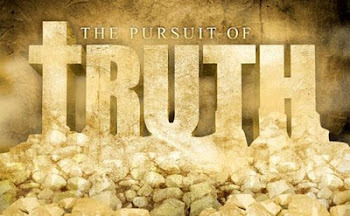 Since the canon of Scripture is now closed, there are no new revelations given to us by the Spirit of God (contrary to what many like the Kansas City Prophets and New Apostolic Reformation adherents believe), only deeper revelation that already exists in Scripture, given to those who exercise diligently in the Word of God and as mature believers are able to digest ‘the meat of the Word’ (HEB 5:12-14). These deeper revelations will never contradict the complete counsel of the Word in any capacity; otherwise they are to be rejected because only that which is recorded in Holy Scripture as the veritable Word of God is the supreme and singular authority! Prophecy and prophesying today is in the proclamation of the Scriptures as one is empowered by the Spirit to expound on the written Word and what it declares of God’s plan whether concerning the past, present and, or future. So often we think of a ‘minister’ in somewhat reverential terms, but the term really only means attendant or servant; some would even go so far as to say ‘slave’ which is hardly a revered position in life from a human perspective! Paul, Jude, James (the LORD’s half brother) and Peter refer to themselves as slaves of Jesus Christ (which harks back to the concept of a doulos or bond slave in the Old Testament; see EXOD 21; also DEUT 15); ROM 1:1; PHIL 1:1; TITUS 1:1; JAMES 1:1; 2 PET 1:1. These were all ministers of the LORD Jesus Christ and for His sake, servants of the church; quite different in concept to what we often think of as a ‘reverend’, or ‘minister’. Obviously God sees servant-hood quite differently! God is the absolute Ruler of all creation, and yet His heart is a giving heart, abounding in grace and mercies, desiring to bring restoration to humanity, not ruin; to bring salvation rather than destruction. Thus any who exhibit such a heart towards others, mirrors the heart of God, and of course we understand that no can truly do such, unless they are empowered by the Spirit of God and directed by His Word. Such servant-hood is truly a gift of God! Teaching is a particular form of service and it also is a gift (even in the secular realm it can be stated that a particular person is ‘a gifted teacher’) from God, imparted to certain of His saints as those who are particularly apt to teach (1 TIM 3:2; 2 TIM 2:24). Instruction, learning doctrine, that which is taught are all words associated with this ministry as pertaining to the imparting of truth as found in the Word. MATT 15:9; MARK 7:7; EPH 4:14; COL 2:22; 1 TIM 1:10; 4:1,6; 6:1,3; 2 TIM 4:3 and TITUS 1:9 among many other references all have to do with the ministry of teaching. There are many things being passed off as ministry in the church today, and specifically in the area of teaching, but such instruction is not based (either in part or whole) on the Word of God. Incredibly there are ‘Bible studies’ based on The Purpose Driven Church by Rick Warren and the novel entitled, The Shack by William P. Young! Truly, this is an indictment against the professing church! That the very Word of our God should be given, entrusted in fact, into our keeping – that such is given along with the Holy Spirit Who brings understanding of these Scriptures and empowers us to live out the Truth it reveals and we divide our attention by giving heed (either partially or wholly) to such books written by men?! This is not to say that books written by Christians are not helpful (I have a rather extensive library myself and am blessed by the writings of many godly Christians), but no such books, commentaries, systematized theology series should be the focus of study for the disciple of Christ – we are to “continue” in His Word in order to be His disciples (JOHN 8:31), not the words of mere men, even godly men who have the Spirit! To find a church today that will faithfully teach the Word, and even more so, live out the principles of its Truth (It’s worthy to note that in ACTS 1:1, Luke refers to the ministry of the LORD Jesus as “all that Jesus began both to do and teach”, which tells us that doing the will of God is the focus and this is made possible as the Word is properly taught revealing the will of God, via His Word) is becoming a most difficult task in this day of apostasy. If you belong to such a fellowship, be admonished to lift up the pastors and elders in fervent prayer that they remain in this place of blessing and not stray from this holy calling! “Exhortation” is the word paraklesis and it’s related to the word parakletos, which is the word used both of the Holy Spirit and the LORD Jesus Himself (as well as the Father!) as “Comforter” (JOHN 14:16; 2 COR 1:3-5); paraklesis means “a calling to one’s side, an exhortation, consolation, comfort” and it often combines encouragement with alleviation of grief. See ROM 15:4-5; 1 COR 14:3; 2 COR 1:3,4-7; 7:4-7,13; 2 THESS 2:16. Such comfort in exhortation is also coupled together with “waiting” for the coming Messiah which is a consolation to those whose hearts are His! The very fact that exhortation, consolation, comfort are all words (in the Greek) related to the office of the Holy Spirit as well as the Godhead in general as the Comforter speaks clearly as to how exhortation is to be conducted: gently, with firm conviction, with the one who is in need as the focus of ministering with unconditional love, while at the same time pointing incessantly to the LORD Jesus Christ and His Word as the ultimate solution to any dilemma; putting their needs above one’s own as one seeks to be a vessel through which the Spirit of God Himself can minister to the hurting one in need is what it means to truly be a “son of consolation” as was Barnabas (ACTS 4:36). Exhortation likewise has the connotation of confronting the rebellious wherever reproof and, or rebuke is required. Such extreme measures are nevertheless to be done without undue emotion (especially of the hostile sort) but with “righteous judgment” instead (JOHN 7:23-25). Along with the gift of teaching, exhortation is a constant companion and ally and conjunctive to 'teach, educate, impart knowledge and understanding' as well as warning for the flock against unsound doctrines and practises that are not merely non-biblical, but far more often than not satanic in origin (See 1 TIM 4:1-3)! 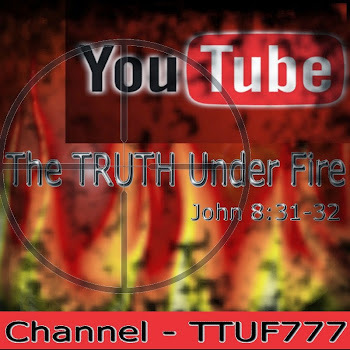 Much of what is posted in TTUF is exhortative in content, informing and warning against unbiblical teachings, practises, policies, etc. To Give Or Not To Give – This Isn't Even A Question! The defining attribute of God’s unconditional love is in the word “give” as one can readily perceive in the beloved verse of JOHN 3:16, “For God so loved the world that He gave His only begotten Son . . .” and just as God gave of Himself, that which was most precious to Him (His only begotten Son!) likewise here in this passage, he that gives (to impart to others something precious and a part of oneself; consider ROM 1:11) must do so with simplicity or in other words without any self-seeking and with generosity. Again, using Barnabas in the book of Acts as an example, this saint sold land that belonged to him and brought the money for distribution to the needy Jewish believers in Jerusalem (who for their faith in Jesus as the Messiah of Israel were shunned, rejected by the authorities, excommunicated from the Temple, and thus quite often refused employment and left in dire need). Compare this act of selfless and generous giving with that of Ananias and Sapphira (See ACTS 4:34–5:11) who sold land, kept back part of the price and yet claimed to have given the entire amount to the church. It wasn’t the fact that they kept back part of the price, but that they lied about it, and probably for the motive of self-seeking and “vain glory” in order to be esteemed by mere men that they were so severely judged. Leaders in the church are those saints among their equals (that means everyone) who are simply appointed by God to lead and are by no means superior (but sometimes in some respects inferior in order to keep those in such positions humble) to other saints. Pastors, elders and teachers, as well as others in authority like deacons and Sunday School teachers are not to lead by their own power or authority but by the authority of the Word of God. If any should extend their authority beyond the parameters of Scripture, they have gone too far. No pastor has any right to dictate to any member of the church where they should work, where they should live, who they should fellowship with or marry unless by doing so the person in question is in clear violation of the teaching of Scripture. Unfortunately today many pastors in too many churches see themselves as autonomous and unaccountable to Scripture by their congregations; they perceive that because they are ‘God’s anointed’ their word is beyond question and dispute and if any congregant is not obedient to such, they are seen as “divisive” and rejected, even banning from the fellowship! Again, the singular authority for ALL in the church, including the leaders, is the Word of God! The very least esteemed in the church ought to be able to consult Scripture and if they see anything amiss in the teaching, ministry and practises of church leadership, approach such in a spirit of humility and a teachable heart and inquire, bringing such things into question in light of God’s Word and such a least esteemed member should receive a fair hearing and if they have rightly divided the Word of Truth and rightly perceived the situation, have such an admonition (and correction where needed) received. Sadly, this is more often than not the case! LORD Have Mercy – And Us Too! Mercy is likewise apparently a spiritual gift and such should be shown with cheerfulness. Mercy in this context deals with compassion that is active. One can feel sentimental and sympathetic with another in misery, but then do nothing about it. “Mercy” as seen here is a motive that calls to action on behalf of others who are in need. In such a day as today with hardships and cruelty aplenty with misery increasing at an exponential rate, the need for such active compassion is even greater. Consider what time spent with the lonely might do, an embrace to those who have suffered loss, a phone call or a letter written to encourage one who is bewildered and needs godly counsel in their dilemma, an anonymous check given to a needy family, etc. Prayer of the intercessory sort is indispensable with this sort of mercy, and all such should be done with cheerfulness, that is, a perfect willingness and joyousness of mind with an attitude of generosity (hilarity)! A very dear brother of mine often comes into the room with an air of hilarity, with a bright disposition and a smile, full of good cheer and humor; at such times I can feel my spirits lift and a smile stretch across my face. Such a heart, brimming over with the Spirit of God can do wonders for those who are discouraged and downcast and are in need of such mercy and consolation as this gift of God’s grace supplies! 18 For in that he himself hath suffered being tempted, he is able to succor* them that are tempted. * Succor - assistance and support in times of hardship and distress. Love is to be genuine, sincere and without any hypocrisy; the love for the saints one to another cannot be a mere human love (phileo) but the kind of quality that is found in the heart of the LORD Jesus Christ (agapeo) which is the unconditional, wholly potent love that emanates from God alone. This is in accord with the LORD Jesus’ command that we love one another as He loves us (JOHN 13:34-35)! This is impossible to manufacture by human effort or sentiment, but only as we yield to the Holy Spirit and allow this Divine love to flow through our lives, and such love that we are actually enabled to love our enemies (see: MATT 5:43-45; LUKE 6:27,35)! Having no dissimulation means to not put on an act, much like the ancient Greek actors who held an assortment of masks in order to assume different roles – no masks, no pretending for the Christian! Only genuine love created by the Spirit of God! Love and mercy are inextricably intertwined with forgiveness - the obvious command of Christ is that we forgive others as we ourselves are forgiven by God (MARK 11:26). For an excellent exhortation on forgiveness, read this article about Corrie Ten Book and how God directed her to forgive the very Nazis who were responsible for the deaths of her family members! Abhorring that which is evil is something that marks the Christian as being distinguished from their former life and also from the world at large. Evil in this sense is “ruinous, degeneracy from its original virtue, diseased, derelict, vicious, malicious and hurtful and is associated with the sort of evil as practiced by the wicked, the devil himself and the demonic realm of the kingdom of darkness; essentially,” everything that is governing the wicked world-system that is under the ruler-ship of Satan, the god of this world. To abhor such is an indication of righteousness and godliness, which can only result from a genuine work of the Spirit of God in one’s life. Such righteous, godly conduct can hardly be manufactured by humans any more than the agapeo of God. 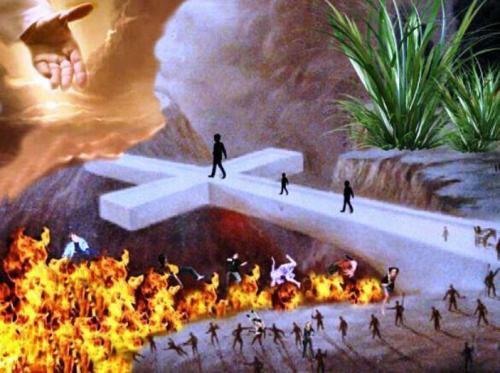 4 Who gave himself for our sins, that he might deliver us from this present evil world, according to the will of God and our Father (see also JOHN 3:18-20; 7:6-8; 17:14-16). Cleaving to that which is good, is in a very real sense, the ‘flip-side’ of this and since there are none good, except God only (LUKE 18:18-20). The Greek word for cleave literally refers to an epoxy or glue that renders the two objects treated entirely stuck together so as to be permanently associated together. The goodness spoken here is something morally pure (GAL 5:22) and pleasing to God (MATT 25:21; EPH 5:8-10), therefore beneficial to the saint cleaving to such (being the first partaker of such fruit; 2 TIM 2:6), to other saints who are recipient partakers of such goodness (ROM 15:14), and sinners as well who may see such good (works) demonstrated in the life of a believer and glorify God for such (MATT 5:15-17). 17 For it is better, if the will of God be so, that ye suffer for well doing, than for evil doing (see also 3 JOHN 1:11). Paul reiterates that the kindness, the affection and love among the brethren (and sistern too – sorry, couldn’t help myself!) ought to happen as a [super]natural experience because the same Spirit indwells all believers, having the same Father and same LORD and Savior – this is a family lineage whose Divine blood by which we are born into it is far thicker than any other blood (to say nothing of water!) and whose bond and loyalty far exceeds any earthly lineage, far into eternity. Such is the family of God where even those who are husband and wife will have such a matrimonial bond severed upon entrance into the eternity of heaven, where they will enjoy eternal fellowship with God and the saints as brother and sister – and have such blessed, intimate fellowship there as they never experienced while here on earth, as will we all! The next and last section of ROMANS 12 will involve an examination of our conduct, among other situations, in enduring persecution. Something that is becoming all too common in the church the world over and something that we here at TTUF believe is soon to arrive here on our American shores. What’s to be our response in such times? Need we fear such things? What are the effects of persecution upon the body of Christ? We shall deal with these questions and more in the next article! In the meanwhile, may we all be about our heavenly Father’s business this day, and bless the saints with such love, service and esteem as will reveal the very nature of Jesus and draw us closer together with the cords of heavenly love!